Producers, do you have a Veterinarian-Client-Patient Relationship? As of Dec. 1, all antimicrobials used in animals will require a prescription from a registered veterinarian — and vets can only write a prescription if the four conditions that define a Veterinarian-Client-Patient Relationship (VCPR) are met. Some producers may be wary of this new set of regulations, fearing it’s just a ‘money grab’ for the vets. Alberta veterinarian Dr. Mike Jelinski understands where those comments come from. 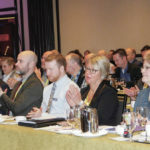 “Veterinarians are in that unique position where we are able to both prescribe and dispense,” said Jelinski of Veterinary Agri-Health Services in Airdrie. But while the regulations were developed to ensure proper use of antimicrobials (combating antimicrobial resistance, in particular), Jelinski argues a VCPR can bring a lot of value to the table for a producer. “Veterinarians who are familiar with the species can add a lot to production animal advice,” he said. Having a deeper understanding of individual herds and farms allows vets to help producers improve their nutrition programs, breeding, vaccinations, and many other critical aspects of livestock operations, he said. “It doesn’t have to be strictly about treatment of disease, it encompasses the whole operation,” Jelinski said. “I think most producers who engage their veterinarian in that respect find value in that. That’s been the case for Acme-area rancher Ian Murray, a longtime client of Jelinski’s clinic. Murray has had a VCPR at Shoestring Ranch for some time. He enrolled in the Verified Beef Producer program and began marketing beef to the European Union. Both required working with a veterinarian to establish treatment protocols on the farm (for the EU program an EU certified veterinarian is required). “(It’s) herd health planning, vaccination schedule, creating health monitoring, seeing things that are going off the rails and trying to pull things back together, that I find is invaluable,” he said. 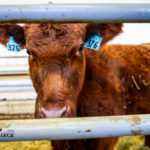 Treatment options for production animals can be very expensive these days, added Jelinski, and so his goal is to encourage practices that reduce the need for antibiotics or for treatments in general. A veterinarian who is genuinely interested in an operation will be focused on understanding the producer’s management approach and how it can be improved, he said. For example, he said he would rather work with his clients to help them balance rations rather than dealing with wrecks, such as downed cows or sick calves, because of poor winter nutrition. 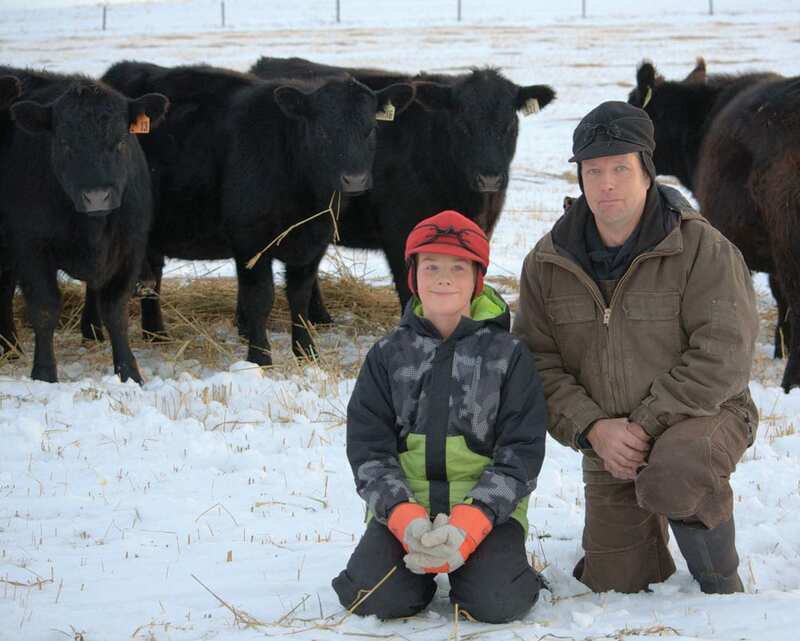 “Having to do calvings is an important part of our responsibility but we’d much rather make sure you grew your heifers out and fed them properly through gestation, so you aren’t having calving problems,” he said. What makes a Veterinarian-Client-Patient Relationship work is the relationship part, said Murray. For example, Murray said in most years he doesn’t pregnancy check his main cow herd. However, Murray finds it more profitable to cull his open cows after they have weaned off a calf, and put some weight on them after a few months, in years when feed is plentiful. “Just because I’m working closely with the veterinarian, does not necessarily mean that I have to spend a whole lot more money than I deem necessary for my own management,” he said. Although having a VCPR is now required for prescriptions, the goal should be prevention, he said. Jelinski and his colleagues have “laid out most of my protocols for me,” Murray added. “I’ve fine-tuned it for our operation, but we’ve got treatment protocols on hand so that if I find something like foot rot or calf pneumonia, I don’t necessarily need to get the vets to come out again because I’ve been working with them so closely,” he said. 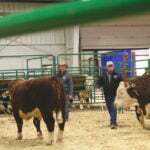 Developing a herd health protocol with a veterinarian is becoming a trend, said Jelinski. Once the VCPR is developed, the vet visits the operation at least once a year, although that varies. For example, Jelinski regularly visits his feedlot clients (often on a daily basis) but typically goes to a cow-calf operation two to three times a year — usually preg checking, breeding soundness exams, and a pre-calving visit. 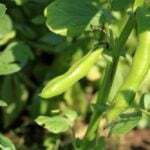 These visits can save a producer major dollars. “I’ve seen some pretty catastrophic wrecks over my career,” Jelinski said. “A good example would be scours in calves. Sometimes it’s hard to identify the root cause, and other times it’s a major management error that leads to the loss of a significant per cent of the calf crop. 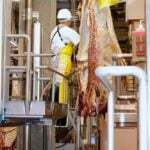 Even in less severe cases, producers may end up treating half their herd. “When you think of the hours spent treating scouring calves with electrolytes, the ones you lose, the ones that never perform up to their capabilities because of damage to their GI tract — those are the cases that I think about,” he said. A visit lasting an hour or two allows a vet to review items such as rations, minerals, biosecurity, and other matters. 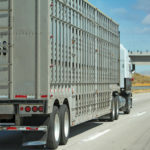 “As time goes by and we are seeing more of these programs where auditing is taking place to demonstrate compliance, veterinarians will become more involved with on-farm visits because it’s going to be driven by some of the auditing requirements,” said Jelinski, who has been in practice more than three decades. “When I reflect on my career, as we’ve got better vaccines, better management strategies, and better antibiotics we do a lot less individual animal medicine than we ever did. Having a relationship with your vet can also help make producers more aware of trending issues with consumer perceptions and new regulations regarding animal welfare that may be coming.